Buy rehabWall at Low Prices. Contact us Today! rehabWall is an innovative product for multi-professional rehabilitation. Making personal and tailor made rehabilitation programs is easy as the therapist can set the difficulty and duration of the exercises based on the client's condition. All exercise data is saved and easily accessible to simplify the process. Some of rehabWall's strengths are the immediate feedback during the exercise and the visual presentation of the results following it. 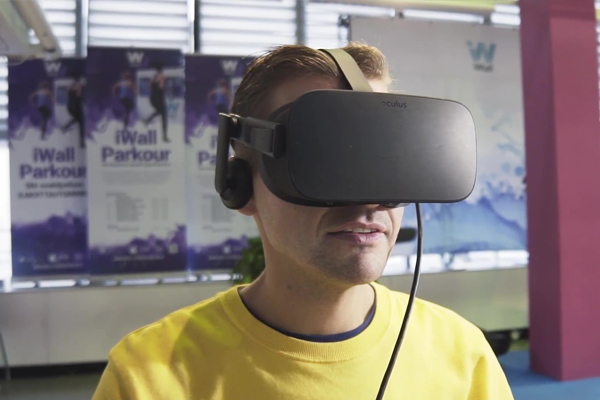 Virtual reality: The exercises have been designed in cooperation with professional therapists. 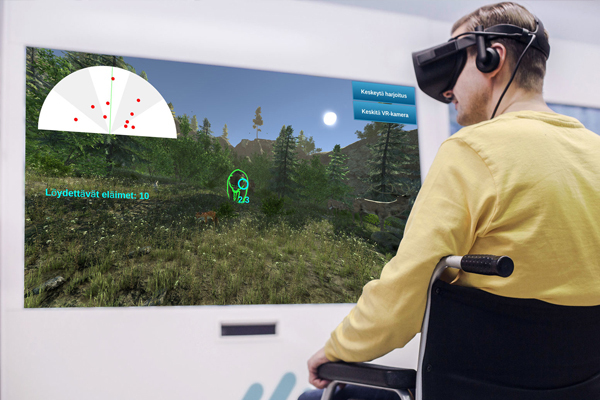 rehabWall connects rehabilitation equipment with virtual reality and modern game technology. The therapist can control the difficulty and duration of the exercises, therefore easily building new exercise programs. Wheelchair control: The exercises designed for physical and occupational therapy will improve diversely the functional ability. The physiotherapeutic exercises rehabilitate the symptoms of paralysis, body control and muscle weakness. Cognitive impairment can be improved by the perception and recognition exercises that support the reduced accuracy. 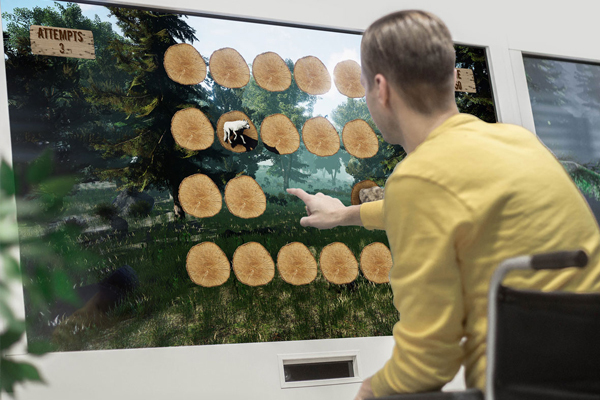 Memory game: rehabWall includes exercises for rehabilitation of memory disease: they can be used for preventing diseases and maintaining health. Motion camera: The exercises for mobility and body control utilize motion-sensing camera. The therapist can individually choose suitable motions for rehabilitation. 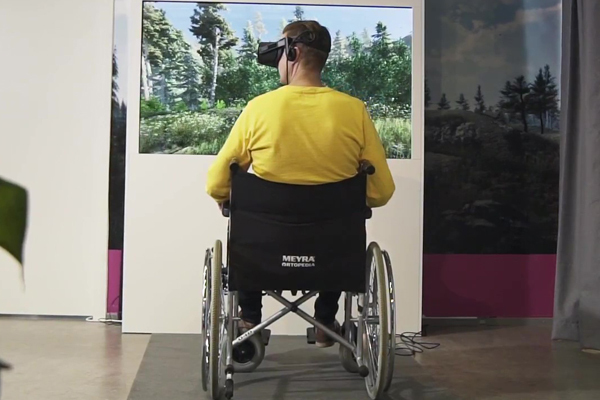 RehabWall uses touch screen technology, VR goggles and a wheelchair simulator to deliver a range of therapeutic exercises that improve strength, mobility and other functions. The rehabWall system uses a motion-sensing camera to track patients’ movements and ensure that they are performing the exercises correctly. All exercise data is stored and this makes it easy for therapists to access it at any time to measure and assess the patient's progress and plan future therapy sessions for a more effective treatment. 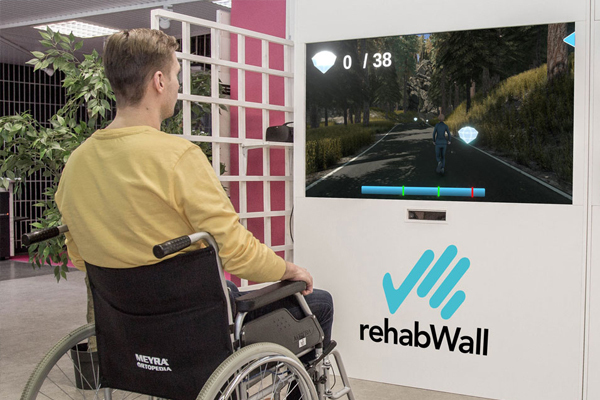 rehabWall is supplied with a number of built-in games with new rehabilitation games and exercise modes being launched on a regular basis.